Home / Who Got the Baby in the King Cake? 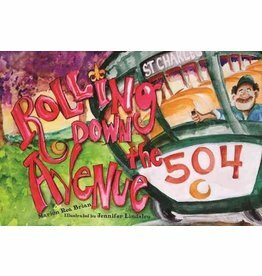 This is the Dixieland jazz song lets you know you are in New Orleans, and goes with Johnette Downing’s book WHO GOT THE BABY IN THE KING CAKE?, published by River Road Press (2019). A king cake is a ring-shaped pastry served during the Mardi Gras season. Whoever finds the plastic toy baby in their piece of king cake is obliged to host the next king cake party. Featured on this recording with Johnette are drummer Doug Belote and members of the famed Dukes of Dixieland—trumpet player Kevin Clark, trombonist Craig Klein and clarinetist Tim Laughlin. You're not gonna taste this little beignet! When you're in New Orleans, there's no better way to take in all the brilliance of the city than to hop on board the streetcar! 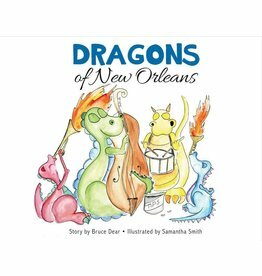 In this magical tale for beginner readers a child's creativity comes to life as he explores the imagined life of dragons.